The invoice price & true dealer cost are not the same. 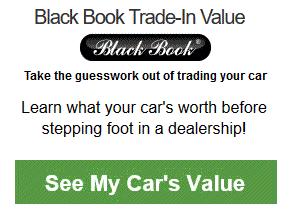 The true dealer cost of a Hyundai Elantra is lower. Note: The Hyundai Elantra pricing report below does not include rebates or incentives. View Hyundai Rebates and Incentives. 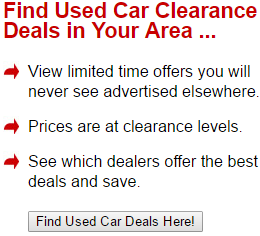 Hyundai Elantra Prices - How Much is a Hyundai Elantra? The Elantra was already synonymous with the concept of "value," but it gets even better in 2019 thanks to an impressive Value Edition model. Hyundai upgrades to standard a 5" touchscreen and Infotainment system to boost the technology value, and of course the exterior is fresh with new colors and a body style that's a bit more sophisticated than in years past. It's a true winner with a value unlike any other compact vehicle on the market in 2019. Safety features were a big focus on the base model and trims, and it shows. Instead of having optional safety features like drowsiness monitoring and a rearview camera, Hyundai has kicked things up a notch by making those features standard across all models. Add in a more functional interior cabin, and you've got a recipe for one of the best values of the year, no matter which trim you choose. Did we mention that there's plenty of trims to choose from and that you'll benefit from excellent optional features as you shop for your perfect trim? 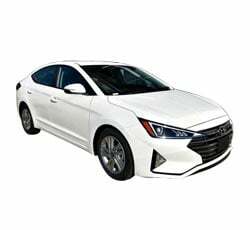 The base model of the Elantra is comes in luxuriant colors like Lakeside Blue, Galactic Grey, and Scarlet Red, but the big news is the upgraded body that makes the 2019 Hyundai Elantra more alluring than ever for people who appreciate flourishes even on their compact eco-cars. Other trims stand out for their features as well. The Elantra Sport features a powerful 1.6-liter I-4 engine that kicks out an impressive 201 horsepower. For folks who want some power, it's there in the trims! Ever wanted 18" alloy wheels for a sporty appearance? Opt for the Sport! To put it simply, the new Elantra gives you 6 total configurations to choose from and a healthy engine line-up, in combination with Hyundai SmartSense safety features that put you in total control of your destiny on the road. With high beam assist, Driver Attention Warning, and Smart Cruise Control, you're going to get a healthy line-up of safety features that keep the whole family safe. Much has been made of the upgraded interior of the Elantra, with its quieter cabin and more technological-minded design. All trims seat 5 people, so this one makes an excellent family car or car for an independent individual who wants a premium driving experience for as little cost as possible. The 2019 Hyundai Elantra continues to pave the way, also, in the category of cargo space in compact vehicles. Hyundai got very creative with their interior design options so that the interior of the vehicle will be more functional even for those folks with a little extra cargo. Thanks to an excellent braking system, drivers have commented that this one is smoother and more fun to drive. And when you look at the amped up power of the Sport trim, you realize that for a very small amount of money, you can get a much more robust power-driving experience for a price that few makers have dared to dream of. Hyundai truly makes driving the new Elantra a fun, but functional, experience, and they've thought of the little flourishes and touches that reach out and scream "VALUE!" to a customer. Gas mileage on the 2019 Hyundai Elantra is excellent as well, ranging from 25-32 MPG depending on which trim that you choose. You'll get the best gas mileage with the ECO trim, thanks to its 35 MPG. And even the lowest - Sport - is well worth the payoff of the more robust engine (you get 25 MPG with the Sport, but remember, that's the price you pay for the better horsepower specs). All in all, it's a truly impressive lineup of vehicles that give you functional interior options, beautiful upgrades to the exterior, and then of course the now standard safety features that make us all a little more at ease selecting the Elantra. The best way to learn more about the Elantra is to hop in it for yourself and take it for a spin. Whether you want the most economical option - the base SE - or the filled to the rim with features Limited, you're going to find something to love about all of these trims and the all-new personality and style of the 2019 Hyundai Elantra. A full guided test drive lets you step behind the wheel and feel the power of each of the trims, as well as test out features you might not be as familiar with on the Elantra. One thing is for sure. A test drive of the Elantra often results in a customer taking it home! Example: Base Hyundai Elantra invoice price + the dealer Invoice price of all the options + destination - Holdback = Total Dealer Cost. Note: All Hyundai Elantra MSRP, invoice and dealer cost dollar figures above are approximate amounts. Prices are subject to change without notice.